Hey y'all! I hope you are all having a great start to your week! 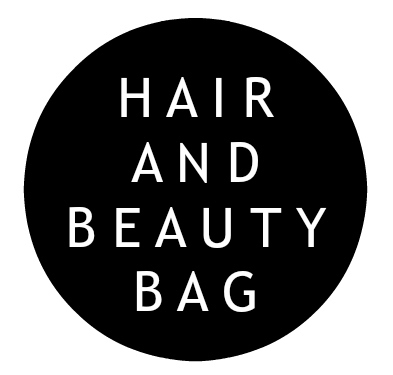 Today, I'm sharing my latest cut and style as well as what's currently on rotation in my beauty bag. I have to get my hair colored on about an every seven to eight week schedule because I've had some gray hair since I was 18. Not fun and it seems like I have even more gray hair every time. I'm all about appreciating that aging is an honor but I just like to color my hair. I'm not ready to commit to gray! My hair is naturally pretty dark so I've decided to embrace the dark hair. 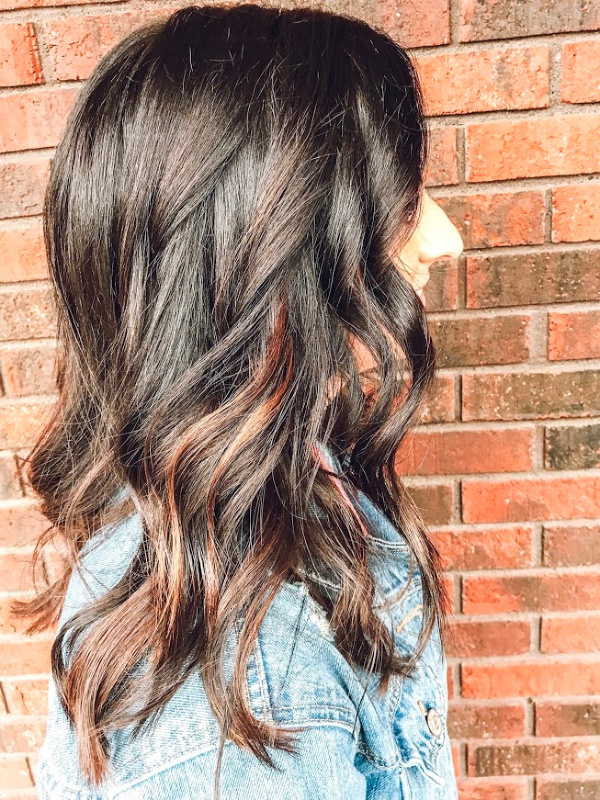 Dark hair is definitely here to stay! My cut is long bob with some layers. I just get the ends trimmed because I am currently still letting it grow out. My hair has grown so much in the past year (and even a lot in the past month)! I am loving the current length! It was fun having short hair for awhile but I feel like longer hair is just more me. Plus, I have been loving being able to throw it up in a top knot again! I am also really loving hair accessories to add a whole new look to my outfit. My stylist curled it with a 1.25 inch curling iron. 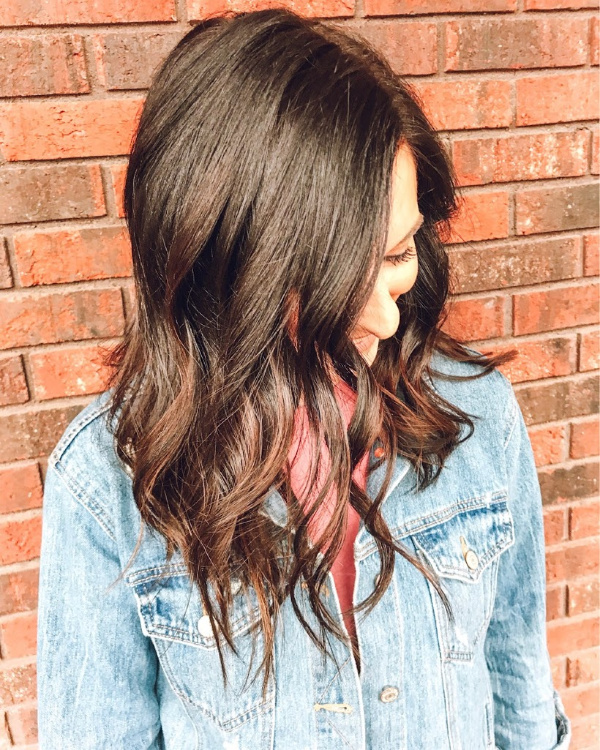 To achieve this style she used Kenra Dry Texture Spray and the Kenra Working Spray. These are two of my personal favorite hair products and they are worth every penny. They also smell so good on top of working so well! I wish Kahli could come to my house and style my hair for me every day so that it could look this good all of the time! She's the best! I have learned so much about styling my hair from her. My stylist is Kahli at Renew and she's been doing my hair for over eight years! If you decide to let her work her magic on your hair, be sure to let her know that I sent you over! You can also read more about my hair care routine and how I go four or more days without washing my hair in this blog post! 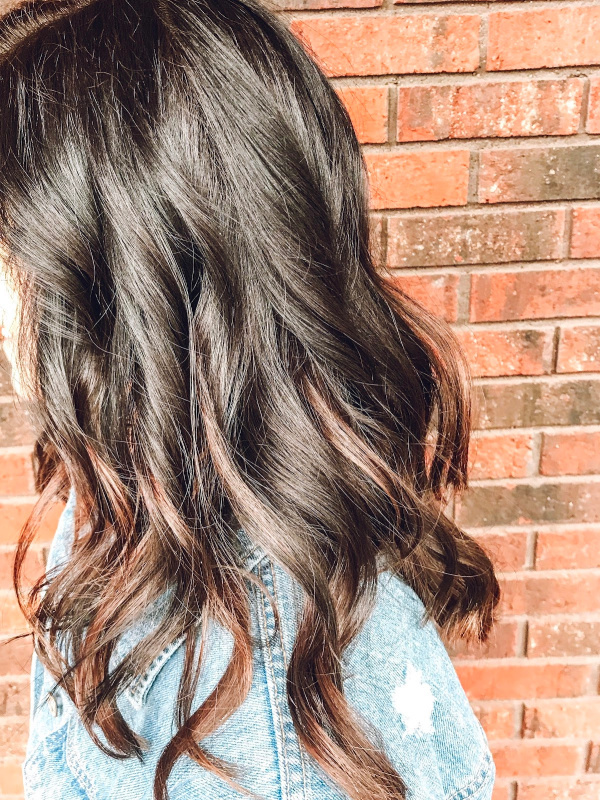 I don't skip washes because I'm lazy (but that might be part of it haha), I skip washing because my hair is so much healthier and so much more manageable when I skip a few days between washes. 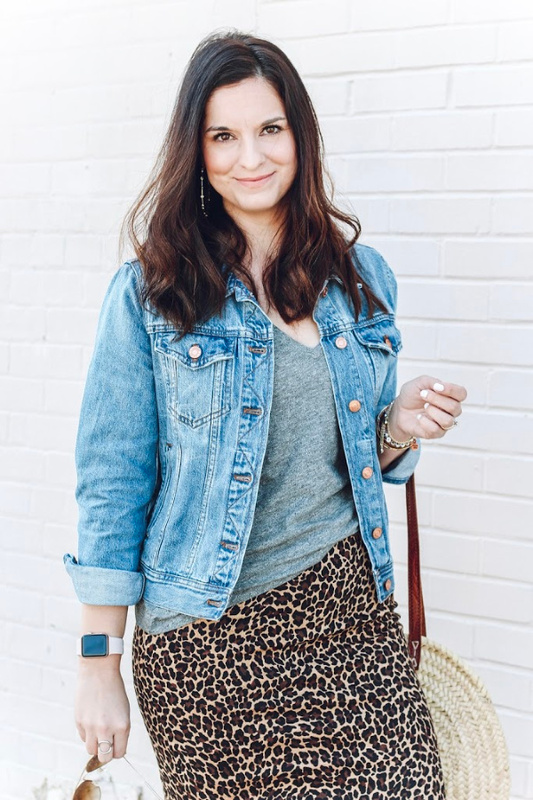 I've also shared about a life changing hair brush in this blog post back in January. 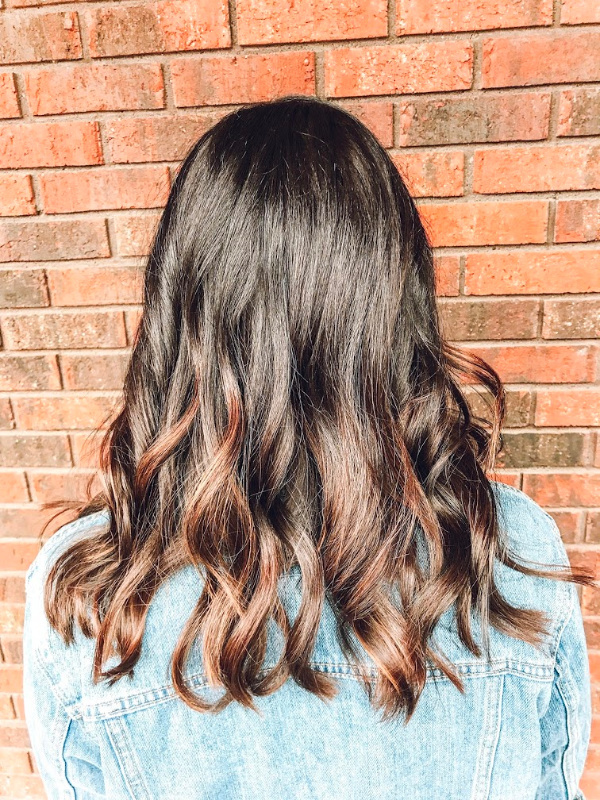 It has been a game changer for my own hair but especially my oldest daughter! Now, on to my beauty bag! For the most part, my beauty routine has stayed the same because when I find what works, I keep doing it. But, I feel like the most important parts of my makeup routine is definitely skincare. When I started intentionally taking better care of my skin, my makeup starting going on so much better. You can read more about my budget friendly skincare routine in this post! I am by no means a beauty pro but this is what works for me. B B C R E A M | I love this super budget friendly BB cream! It comes out white but as soon as you put it on your face, it blends into your skin tone. It comes in several shades but I personally use the shade fair because I think the shades run a little dark. I have been using this product for over a year and half and I highly recommend it! I've tried much more expensive BB and CC creams and I just keep coming back to this one! C O N C E A L E R | I have been using for over a year and I am still absolutely loving it! Such a great concealer and worth the extra pennies! This product is a game changer! I wear the shade "light sand" but I would recommend getting color matched at an Ulta store if you're unsure about which color to get for your skin tone. P O W D E R | I have been using a different powder for over two years and they are discontinuing it so I am hunting for a new powder. I use a layer of powder on top of my BB cream to set it for the day. I am trying this new, budget friendly option and I like it so far. I would recommend applying this powder with the kabuki brush that I'm sharing at the bottom of this post . It goes on more smoothly and you can blend it so much better! M A S C A R A | This It Cosmetics Superhero Mascara is probably the best mascara I have ever used! You only need one coat of this magic mascara. It adds so much volume and length to your lashes instantly. It's my favorite! L I P S T I C K | This is the best lipstick ever! I am usually not a fan of lipstick because I feel like it drys my lips out but this one is different. My lips feel so soft after applying plus it lasts so long. My favorite shades are "Backtalk" and "Naked." It's also long lasting! L I P G LO S S | My lips get so dry this time of year so I was looking for a product that would hydrate my lips plus give a little hint of color for everyday wear. I have been using this lip gloss for the past few months and I love it! Super hydrating. I have the shades radiant rose and berry brown. Both are great neutral, everyday shades! B R O W G E L | A good brow gel is something that I have been personally on the hunt for. I have tried so many different brow products but I still love anything. Until now! This brow gel does exactly what I want it to... it subtly fills in my brows and holds them in place all day without looking unnatural or sticky. I use the brown shade and I would highly recommend this product! M A K E U P T O O L S | I use this blender for applying my concealer, I use this kabuki brush for applying my face powder, I use this brush for applying bronzer and blush, and I use this brush for applying my highlighter. Another great tip is to dampen your blender with just a little water (or I also love using this facial spray on my blender) before using it. This really helps your makeup blend much more naturally and keeps it from looking cakey. One of my favorite tricks!